Unbeatable workmanship for long-lasting durability. Backed by a lifetime guarantee, Bespeco Silos SLAD Series Professional adapters are the perfect solution for connecting all of your different types of cables. With over 50 models available, the combinations are unlimited. All Silos SLAD 24K gold-plated adapters are shielded and hand-soldered individually. Each adapter is then injected with a special silicon resin bath to protect it from oxidation and mechanical failures. After the connectors are sealed with a PVC coating, the production process ends with every adapter being tested. 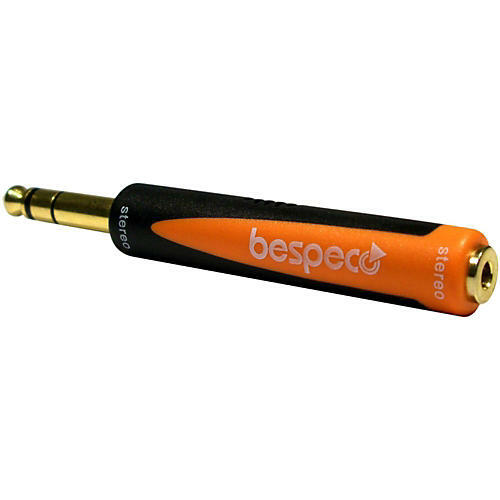 Bespeco adapters are completely immune to electrostatic discharges and electro-magnetic, field-generated buzzing and are guaranteed to last for up to 100,000 inserts. To make connecting cables even easier, all Silos adapters have cable connections printed on both sides so you always know where to connect your cables. Order now for quality at a great price.